We’re barcode experts, and we’re not kidding around when we say that. 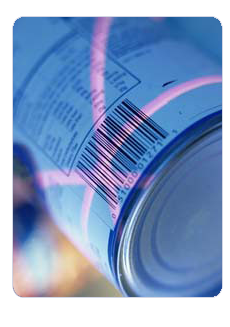 We produce millions of barcode labels every month, in all different symbologies and formats. 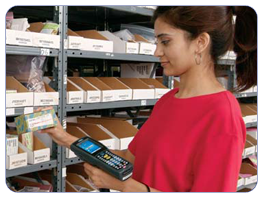 We’re also experts in how barcodes are used, and the equipment involved. And, we have the best equipment prices in town. 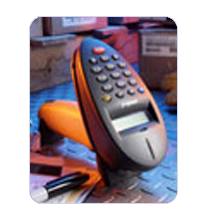 Fixed mount barcode scanners are used to collect barcode data at a specific location. This equipment is directly attached to a computer or network, and the scanner's input is in real time, just like it came from the keyboard. 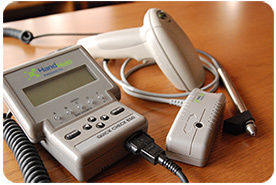 Wireless barcode scanners are powered by rechargeable batteries and allow you to move around. These scanners can be hand held, clipped to your belt, worn in a shoulder holster or mounted on a fork truck or car. Pricing, power and functionality vary considerably, and we have options for every budget. Wireless scanners can be further broken down into two sub-categories, by considering how you want to use the information that the scanner reads. Batch Equipment can go anywhere, and has unlimited mobility because it has internal memory and saves scanned data in the unit. The data is then imported into your computer at a later time, usually through a docking station. Real Time Equipment transmits scanned data back to a computer instantly. Basic systems can have a 25-foot range, and transmit data back to a single desktop docking station. More sophisticated systems can transmit data to a large-scale network of access points mounted throughout an entire building or work yard. Whatever your scanning requirements, we will make sure that your needs are met, and your project runs smoothly. From small projects to large, our barcode experience gives us an edge in the equipment field. Contact Us to begin putting our experience to work for you. Ask us about our fantastic Business Partners!